Romance, nature, relaxation and adventure. Discover Fattoria di Maiano charming rooms and exclusive apartments, for a weekend or an out of ordinary stay. Let yourself be welcomed by the gentle landscape of Fiesole hills and its ancient historic village, that was inspiration for many Florentine artists. You can immerse yourself in farm activities, enjoy local products and dishes or just relax around the swimming pool surrounded by greenery. Enjoy a wellness break around the paths of the Romantic Park and the evocative Maiano mine, or explore Florence starting from a fabulous location. Fattoria di Maiano is rich in history and nature. A special occasion for children to get in touch with organic farm animals and activities. Children can admire goats, horses, cows, donkeys, geese and ducks and even ostriches in the wild. Moreover Fattoria di Maiano organizes guided tours for schools inside its Botanic Garden and around its oil mill, to discover multicolored plants and flowers and learn the steps that lead to the squeezing of “new oil”. Of course with final tasting! Out of town trip? Fattoria di Maiano is one of the most loved place by Florentines to spend days full of taste and fun. So many activities are possible, from guided tours to solitary trekking or exclusive off-road safari tours. Come and discover the secrets of the Queen’s Romantic Park, enjoy plants and animals in the magnificent Botanic Garden, taste exclusive dishes at our restaurant, perhaps after a walk through the paths that run along the quarries. And if you are feeling more adventurous, try our Night Trekking or Night Safari tour. A magical journey to discover woods at night. What better setting for a special day than lush Tuscan hills? 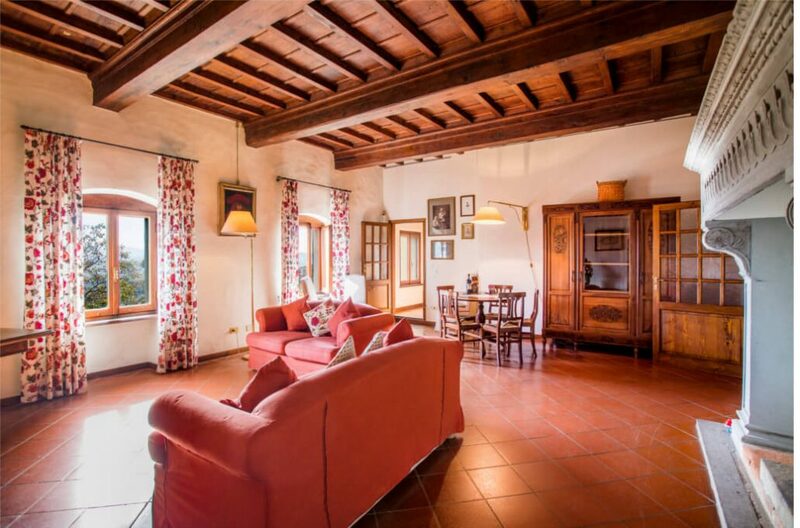 At Fattoria di Maiano you will find unforgettable views, from the panoramic terrace to the oil mill yard, from the XV century courtyard to the Countess Lodge, together with beautiful interior rooms. Contact us to organize your wedding and arrange lunch or buffet service. You will find customized menus based on local excellences, professionally cooked in traditional dishes. 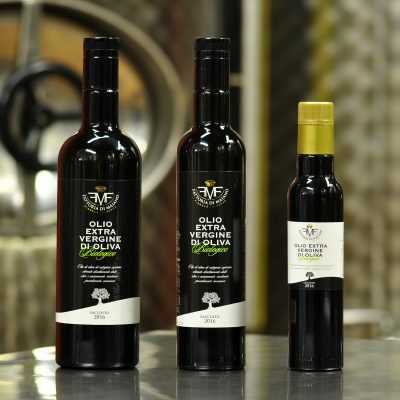 Pure extra virgin olive oil packed in elegant bottle, cold extracted with mechanical process and obtained by pressing 100% Italian olives, entirely produced at Fattoria di Maiano. 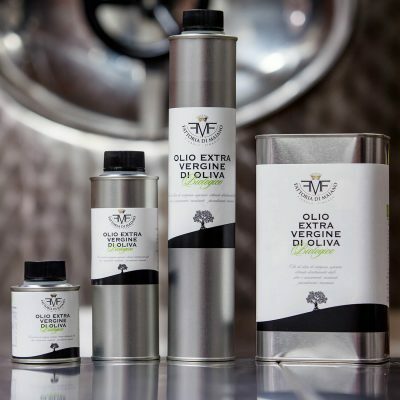 Pure extra virgin olive oil in practical tins of various sizes, cold extracted with mechanical process and obtained by pressing 100% Italian olives, entirely produced at Fattoria di Maiano. 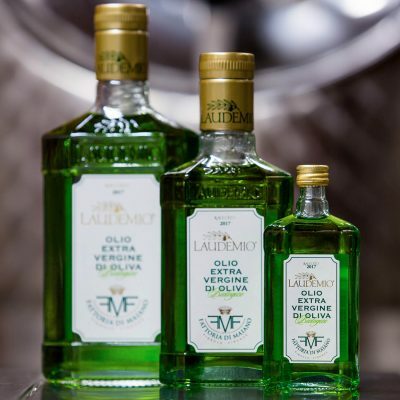 The ideal companion of quality gastronomy, powerful, precious, excellent, naturally rich in intense polyphenols and fragrant aromatic substances, Laudemio is the true quintessence of the fragrances and flavours of the Tuscan hills.